'Bhutu' is an upcoming serial which will be telecast on Zee Tv. The serial is Produced by Shree Venkatesh Films Pvt Ltd and directed by Anupam Hari . 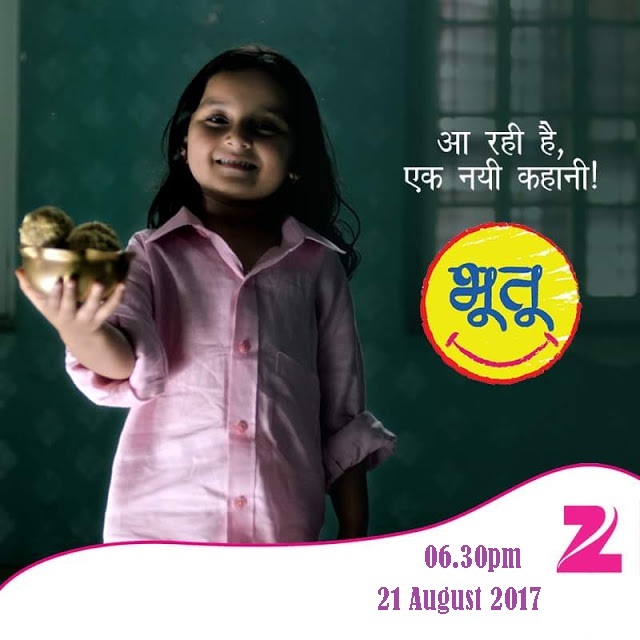 Bhutu will start airing from 21th of August at 06.30pm on Zee tv. The concept has been coined by Sahana Dutta. She is also the writer of the story. The show revolves around a friendly girl ghost, "Bhutu", who always tries to help others, often causing light mischief and mayhem in the process. The character is based on Casper the Friendly Ghost. The story revolves around a five-year-old innocent ghost Bhootu played by Arshiya Mukherjee. Unaware of the fact that she is a ghost, she believes that she is a human being and wonders why she invisible to the people around her. Bhootu soon realizes that she is visible only to people who possess a good heart. Her search for companionship lands her in hilariou.